Our driveway is a monument to gardening lethargy. It’s a wonderful example of what can be achieved if you don’t put any effort into something. No effort, but plenty of thought. Letting our driveway get out of hand was a conscious decision. When we first moved in, fifteen years ago, we went to great lengths to keep it free of weeds with hoe and trowel, and with liberal doses of agent orange. Then, one summer, we let things lapse. We soon realised we much preferred our driveway a little rough around the edges—and down the middle. I’m sure the neighbours must talk behind our backs about the state of our driveway, all covered in grass, nettles, dandelions, buttercups, the dread herb Robert, sorrel, willowherb, plantains, and poppies. Lots of poppies. I love poppies. I even found a hawthorn growing in one of the cracks a few years back. Even I had to draw the line at that one, so I uprooted it and transplanted it in our magnificent proto-hedgerow. Yes, in a few weeks’ time, we’ll probably hoik out a few of the larger weeds to stop things getting totally overrun, but we much prefer the green lane look to our former pristine—well, relatively pristine—botany-free brick monoculture. Sloth is a much-maligned sin. It has worked wonders for our driveway. Gardening’s loss is wildlife’s—and having a life’s—gain. Gorgeous! Those are wild poppies? I love them too! Welsh poppies. There was a small patch of them already growing in the garden when we moved in, but I also brought some seeds from my parents' garden. They self-seed now, so they're zero-maintenance—which is how I prefer things. 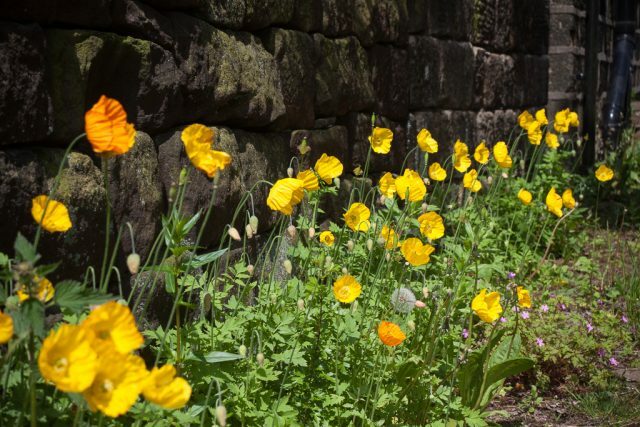 It's been a good year for Welsh poppies. 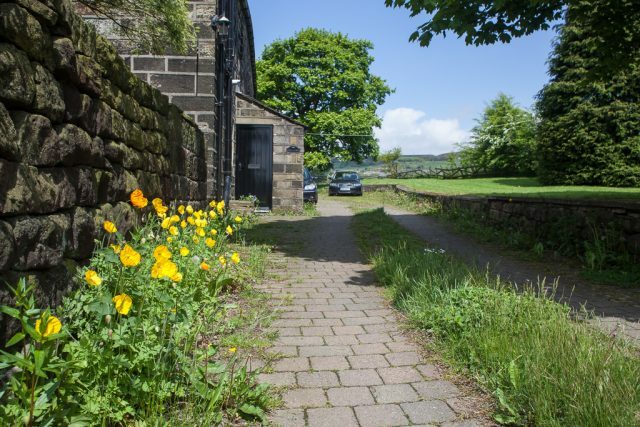 They're growing all over Hebden Bridge at the moment.